The game has a number of storylines for you to complete mission by mission in any order you wish. You select missions from a cool little galaxy map, like a simple version of the Mass Effect maps, which shows the locations of missions and planets. Select a mission in story mode and you will be given the characters appropriate for the story. Free mode allows you to choose your own band of heroes to explore every nook and cranny of the decent sized levels. There are a few different mission styles, ranging from epic battles, to space flight missions and standard platforming levels. The diversity of the levels helps keep the game fresh and the vast amount of unlockables makes it quite a big commitment. The ground battles usually consist of destroying a number of enemy buildings and huge weapons. You can do this on foot, or you can hijack a vehicle, from a small, speedy ship, or a gigantic, bulky tank with awesome power. You can even hop on some native creatures, using the brute force of nature to kill your enemies. They are fun, if at times a little repetitive. There is no denying that they are ambitious however, and it's so great that it pays off. 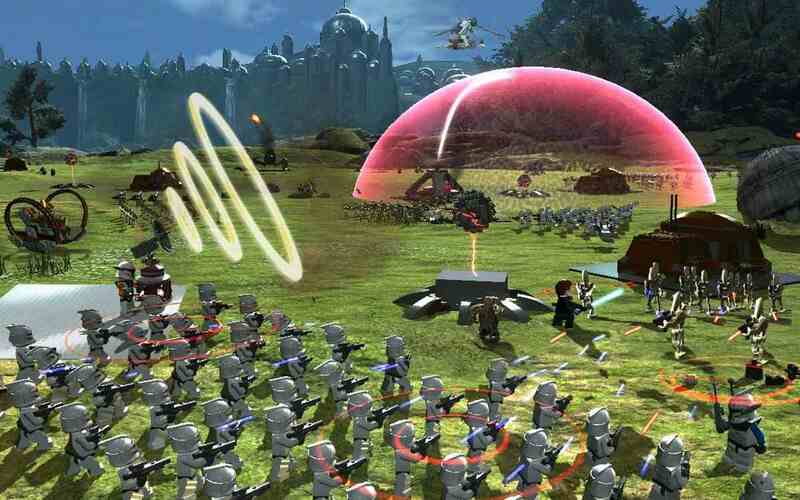 Like most of the Lego games, there is a central hub, serving as so much it's hard to list. In LSW3, the hub is a ship, which you can find with a bit of exploring, is in a huge battle. From the ship you can buy new characters, the game altering red bricks and new vehicles. You can also explore the ship, finding new rooms, hidden mini games and eventually the ability to take a ship of your choice for a little flight. The characters are all recognisable to fans of the Star Wars series, and the graphics, despite being Lego, are good. The lighting and textures are all top notch, and the more realistic environments look great. The battle sequences are amazing, on both land and in space, with enemies and vehicles everywhere and fights taking place independently of the player. The trademark Lego game humour is here, with ridiculously childish pranks and pratfalls happening in almost every cut scene. It isn't just a kiddy game though, as more advanced players can get sucked in by the charm, the sheer depth of the game, and some of the most recognisable characters in history. 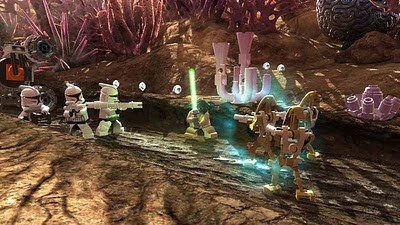 Lego Star Wars 3 offers a lot. So many unlockables, mini games and missions beyond the main story, it puts a lot of games to shame. It is great for kids, for adventure gamers and would make a fun party game. Everyone should give this a chance, and the free demo on the Xbox Live Marketplace gives you no reason to ignore it.